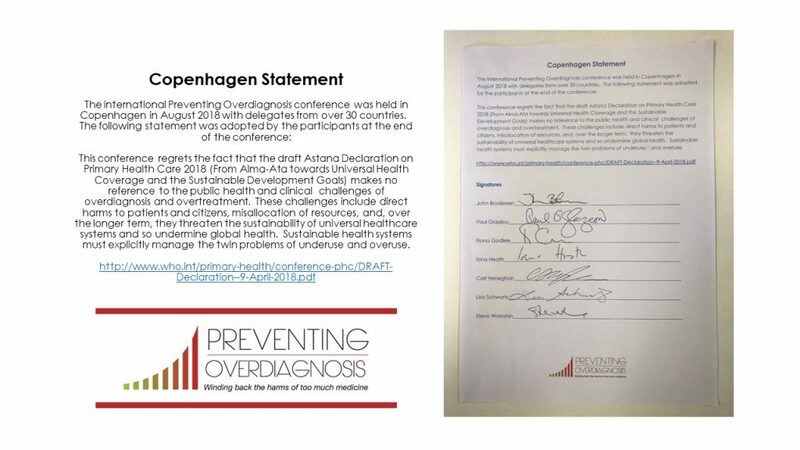 The international Preventing Overdiagnosis conference was held in Copenhagen in August 2018 with delegates from over 30 countries. This conference regrets the fact that the draft Astana Declaration on Primary Health Care 2018 (From Alma-Ata towards Universal Health Coverage and the Sustainable Development Goals) makes no reference to the public health and clinical challenges of overdiagnosis and overtreatment. 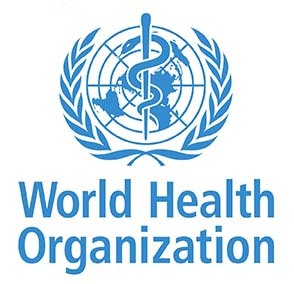 These challenges include direct harms to patients and citizens, misallocation of resources, and, over the longer term, they threaten the sustainability of universal healthcare systems and so undermine global health. Sustainable health systems must explicitly manage the twin problems of underuse and overuse. Copenhagen has the honour of hosting Preventing Overdiagnosis 2018. Self-chosen continuing education: 2 days lost working profit of 2,600 kr. And 2 days tuition fee of 2,400 kr. And max. 1,500 kr. In transport costs. Course activity number 2018-0597. Refunds can be applied after August 22, 2018. PLO is an organization that carries out the professional and financial interests of some 3400 GPs. PODC2018 offers 18 hours of self-awarded CME credits. Sign up for alerts at www.preventingoverdiagnosis.net to be kept informed of news and updates regarding the conference. Registration Open – Day rates available – Reduced rates for students. “Squidgy” Guidelines: What are they and what can we do about them? Ever try to catch a jellyfish? Or squeeze a squid in your hand? Or wrestle with an octopus? You can’t deny that these squishy, and malleable invertebrates share one important characteristic: They have no spine. Dr Ray Moynihan is Senior Research Fellow at Bond University and co-chair of the scientific committee for the international Preventing Overdiagnosis conference taking place in Barcelona in September 2016. In this blog post he invites you to Barcelona, and explores the growing interest within Cochrane in tackling the problem of too much medicine – being addressed in an increasing number of initiatives worldwide.